Glad you saw us in Harvard Magazine! Open your HUECU account today and start using your exclusive financial services only offered to the Harvard Community. Our quick and easy online application will allow you to open your initial share savings and checking, and other deposit accounts. After account opening, you will be provided with an HUECU member number. Once you have your member number, you can use it to access your accounts online and start taking advantage of the many benefits and services offered by the Harvard University Employees Credit Union. If you are unable or would prefer not to apply online, stop by any of our branch locations to apply in person. *Please note* If you are not a U.S. citizen or you are subject to backup withholding, you will not be able to apply online. The Credit Union has always been there for me financially. I wouldn’t be in the home I am in now without HUECU. Recently, we unexpectedly found ourselves looking for a home with about 3 months’ notice until our lease was up. HUECU was there from the very first conversation to help guide us through the home-buying and mortgage options. I’m so glad we went through the process with the Credit Union, and I’m forever grateful for the people who helped us. HUECU has great customer service and such friendly faces! I feel like the Credit Union really cares about me and my money. HUECU has a great staff! They make it very easy to do business like car loans, mortgages, etc. I love having a credit union with so many wonderful benefits! We are lucky to have HUECU. My previous bank had many issues that required checking in much too often. I prefer to know that things at HUECU are running smoothly with no problems. The Credit Union’s customer service is impeccable from all sites! Thank you all for being so great! An HUECU representative went above and beyond to help us get a loan to solve a family emergency. We are very grateful to her and the Credit Union for the help in a moment of need. I love everything about this credit union. The best part is the people. They are wonderful! In the rather impersonal, algorithm driven world of financial services, HUECU provides an exceptionable customer experience. Good for you, HUECU! HUECU is amazing. The people are always helpful and friendly. It makes banking fun! I never feel like HUECU is trying to cheat me into paying some hidden fee. I like seeing friendly, familiar faces every time I step into the branch. The staff is helpful, patient, and knowledgeable. The Credit Union makes managing my money easy and they are the best place to go for car loans. What I love most about HUECU is the friendly staff, the excellent service, and the non-corporate feel. Everything about the Credit Union is better than a typical bank; the service, the people who work at HUECU, everything is great! I love the Credit Union’s long-standing commitment to workers and sound financial sense. Carry on! Customer service is awesome. I’ve been a member for about a decade, and it’s still consistently great! HUECU is simple banking with lots of options. I’ve never had any problems turn up and the customer support is wonderful. When I was recently divorced in 1993 and had a low credit rating, the Harvard Credit Union took a chance on me and financed a new car that I desperately needed. I ended up keeping the car for 15 years! Thank you HUECU. I like the friendliness and efficiency of the credit union employees. They are always happy to help me with any of my banking needs. I especially like that the Credit Union doesn’t like to sneak hidden fees in and that I feel like I can trust them. Everyone I have ever worked with at HUECU has been knowledgeable, understanding, and helpful. Ever since I first joined, it’s been my only bank! I love the HUECU customer service. Everyone is so friendly and always in a good mood. I never have to worry about being taken advantage of with sneaky usage fees or shady employees. HUECU has my back. I love the personal service. I also think the products are among some of the best offered, in terms of interest rates and credit score requirements. The staff at HUECU are always pleasant and they know me by name! I love banking with HUECU! By banking at HUECU, I feel confident in knowing my deposits are invested locally. They put your money to work right here, in your community, in the form of prudent home loans, car loans, and business loans to your friends and neighbors. What I like most about HUECU is that I can trust them completely. Can’t say that about any other financial institution. My boss told me about the Credit Union and how much he loved it. When I was looking to refinance my mortgage, I was very pleased with the service I received throughout the process. I love the convenience – once upon a time you were so close. Now I do everything online and even though I live 500 miles away, you’re still my main bank! I’m a recent graduate, and I have to say one of my biggest regrets was waiting so many years to join the HUECU family. And it’s just that: a family. I feel like I’m welcomed here rather than being a nameless patron behind a glass partition elsewhere. The fact that HUECU has someone who can speak my native language makes me feel more comfortable and close. I love that HUECU always has my back. The customer service is impeccable, and they make me feel like family. HUECU simply gives me the best experience around when it comes to managing my personal finances. And with access to Shared Branches and Mobile Banking, I am happy to stick with HUECU wherever I go. It’s not a bank! HUECU reaches out with programs like home-buying seminars. It cares about its members and serves them. Refinancing our car loan at the Credit Union was a breeze, we did it totally electronically. Thanks! The day I came in to open an account. The process was welcoming, warm, professional, and efficient. I was made to feel part of the family almost immediately. HUECU was very helpful when I needed an affordable education loan! Thank you! What I like most about HUECU is the staff. They always make me smile and feel comfortable. What I like most about HUECU is the excellent customer service. The Credit Union staff (regardless of location) have and exhibit good and unconditional professionalism at all times. I needed to get something notarized in a hurry. The HUECU agent made me feel at ease because I was very nervous and under a true time crunch. She made me feel like I was with my favorite teacher from high school and not a stranger. We got our first house with a mortgage from HUECU. It was such a nice experience! My HUECU credit card gives me peace of mind. There are no hidden rules or fine print to worry about. Being a member of the Credit Union is great! Putting members first is clearly HUECU’s priority. I love the Credit Union’s online services, and I love having the ability to use any ATM. Great people, too! HUECU offers great rates that helped me buy my first car. The service is fantastic and I’m proud to be a member. I love HUECU’s commitment to member satisfaction and customer service! Very refreshing after dealing with unfriendly bank employees elsewhere. HUECU is always managed efficiently – no lines, no forms to fill out for minor transactions. I love the friendly, capable staff. Thank you. The Credit Union has great rates and an easy process for getting a mortgage. overall a terrific credit union! I love being a part of HUECU! Credit unions—especially this one—rock! HUECU was my 1st bank out of college. It remains my bank as a professional and now for my family. I have used a variety of HUECU banking services, as my life has evolved. It’s an amazing benefit and institution! When I was locked out of the online system, I called the help number and was immediately talking to a real person, which was surprising as someone who came from Bank of America. When I call customer service, a real live person answers the phone! Every staff person that I’ve dealt with at the Credit Union has been so friendly and helpful. The HUECU Staff are just amazing. It’s their over-the-top customer service that keeps me coming back. Wonderful customer service! Every question and problem I have had was quickly corrected and my questions answered fully. I appreciate the small personal banking that HUECU provides. They make me feel not only safe, but also valued as a customer. I love HUECU because I always feel welcome there. The staff is very helpful and friendly; it is nice to be addressed by name and treated like a human being. I always feel like the credit union has my best interest in mind. The HUECU staff is amazing! I’ve need a lot of assistance, and they are always there for me! I don’t work near Cambridge, so I love the convenience of depositing a check electronically using my phone! Who would have thought you could do that. Amazing! For years, HUECU has been my choice for checking, savings, credit cards, and auto loans. They keep their fees down and provide great member benefits where other institutions charge more and offer less for the same services. The credit union has friendly people and not a lot of fees like other banks. 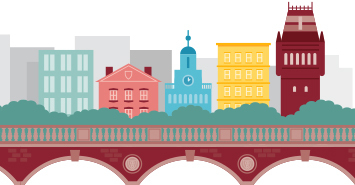 The location in Harvard Square is super convenient. Since I work in the square I can just pop in at any time and do my banking. All the employees are friendly and helpful. It’s a pleasure banking with HUECU!! HUECU’s service is exceptional! Everyone I’ve ever worked with has been so helpful and kind. I left one of the big banks when I became aware of the opportunity to join the Credit Union. The difference was immediately apparent. It is easy to talk to a representative and have questions answered competently. The Credit Union makes it easy to open a variety of accounts. The Holiday Club is awesome! The credit union has always treated me with kindness and has helped me out in one or two pickles. Thanks HUECU! The HUECU staff is awesome, fast and efficient. The attitude is always very pleasant, they take time with each customer, ensuring that they are satisfied and all needs are met before moving on to the next customer. In 1985, on my first day of work at MGH, I joined the Credit Union and started a direct deposit savings account. Three years later, I was able to save enough for a down payment on my first home! The credit union has great customer service and convenient locations. As a non-US citizen, I particularly liked the fact that HUECU was willing to help us with a credit card. Thanks! I really appreciate receiving notices about opportunities for members, such as refinancing my home at a lower interest rate. I’ve done that twice now. We love the friendly professionalism of HUECU. As an international graduate student, they were so accommodating and made international banking easy. Love the fact that I am member and not a customer. It speaks to the HUECU treatment. Everyone is very helpful and friendly. I have all good memories of the Credit Union since 1976! I’ve always said HUECU brought me closer to my money. What I love about HUECU is the excellent services, the people friendly attitudes, and that they are always smiling. The new HUECU branch in the Navy Yard is a great perk for employees. The location is really convenient and the service is always friendly and efficient. HUECU allows me to avoid the horror and endless fees of banking with the major banks. No paper deposit sheets? Awesome! Why can’t other banks do that? I appreciate the quality service and reassurance we received from HUECU when our home was robbed and our ATM cards were stolen. They helped us close the account right away and gave us peace of mind. HUECU approved a loan for me so I was able to take a cruise with my boyfriend in the Caribbean with a bunch of drag queens from Rupaul’s Drag Race. One of my favorite trips! No matter how many times I go to HUECU, the staff is always patient when I tell them that I don’t remember my account number! I am a huge supporter of credit unions, and HUECU has helped me finance 2 cars and vacation loans. It is always a pleasure to go to an HUECU branch because the staff members are very friendly and attentive. Getting my mortgage at HUECU was a no-brainer They have the best rates and making payments via payroll deduction is so easy. Generally, I think it is very impressive when any business offers exceptional service consistently. It has always been my experience that whenever I had questions or needed something, my request or questions were handled efficiently and professionally. I’ve gotten several loans with HUECU and the transaction is always straightforward and seamless. There are no hidden fees or unexpected charges, and they offer very competitive rates. I don’t go to the branches very often because I take advantage of your terrific online banking services. But when I do visit the branch, the employees I have met have always been very friendly and extremely helpful. My favorite thing about the Credit Union is the personal conversations you can have with the staff there about your finances. Thank you HUECU! I love the great customer service. Everyone is extremely friendly and knows how to put a smile on my face every time I bank with HUECU. Thank you! Great customer service and support. Plus good online banking resources, including mobile check deposit and a well-designed mobile app. My favorite experience with HUECU was the first time I realized that Holiday Loans were available and the ease of filling out the paperwork. This was like no other banking experience. Love the vacation club! When I was a child, growing up in the 1960s, my mom had a vacation club at her credit union, and every summer we would have a lovely two-week camping vacation in the White Mountains. I am carrying on the tradition but have added in Galway, Florence, Paris, Zurich, London, Berlin, Nova Scotia, and many more! I bought a used car at a dealership. The finance guy said no bank would give me a loan for the car but HUECU did. I like the fact that the Credit Union is a stable financial institution and that it is of the people and by the people. I love HUECU. They have the best rates and the staff is always so helpful! When you go to a branch, you feel more like part of a community than a customer. From personalized attention by banking or notary agents, to classes on smart homebuying, to the little perks like coffee or coin sorting, you feel supported and valued. HUECU staff is friendly, the banking is simple, and your rates are great. This is a great service to all affiliates of Harvard. Once I accidentally over-drafted my checking account when trying to pay back the credit card. Instead of mechanically deducting the overdraft fee the staff at HUECU called me and asked if I intended to transfer funds from the savings account. I was impressed. I really appreciate that even with being a foreigner, the Credit Union made it possible for me to have a credit card. As a young 18 year old employee, I was able to start savings at HUECU – direct withdrawal in 1978! I love that HUECU doesn’t nickel and dime me with fees. It is also so convenient to have my mortgage through HUECU, and they were so much easier to deal with than a bank! The Credit Union has better customer service, better banking, and better interest rates than any bank I’ve used.